Our family-friendly Estes Park vacation rentals have everything needed for a comfortable and memorable mountain visit. 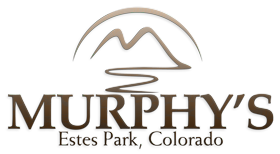 In addition to the two lodging properties we own in Estes Park (Murphy's River Lodge and Murphy's Resort), we own 6 beautiful, and fully-furnished vacation home rentals in Estes Park. We have something for everyone from our charming Olympus Log Cabin to our Grand Estates home which boasts the most incredible views of the Rocky Mountains you'll ever see right from the backyard! Our kitchens are stocked with top-of-the-line appliances and cookware so you can enjoy a home-cooked meal or order in from one of the many outstanding restaurants here in Estes! And our large flat screen TV, free movies and games will keep you and your family entertained after a day of fun and adventure in the mountains! All rentals include access to Murphy's Resort property and amenities so be sure to enjoy a soak in our pool (seasonal) or hot tub when you come stay with us. All vehicles must be registered in the office upon arrival . Reservations can be made by calling us directly at 970-480-2955 or 970-480-5081.